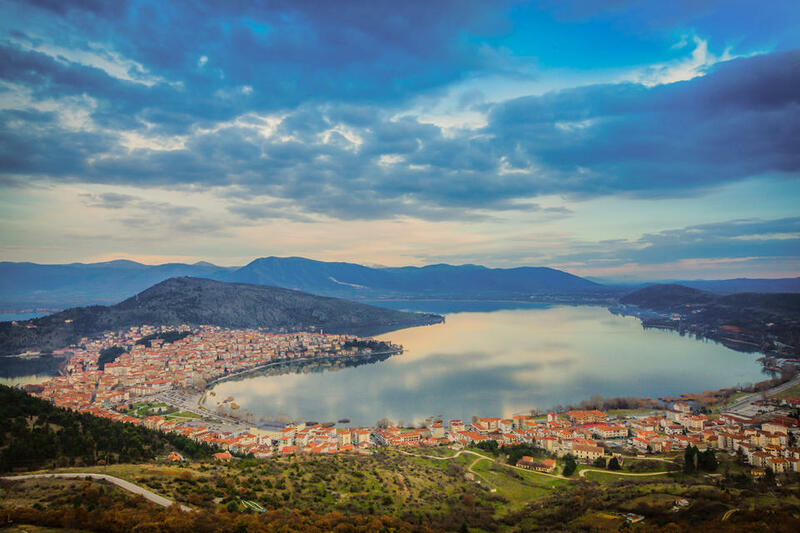 Tucked away in a valley in the mountains of north central Greece, just 15 miles (25 km) from the Albanian border, Kastoria (metro population 51,000) sits on a peninsula jutting into Lake Orestiada, which was once teeming with the beavers (kastoras) the area was famous for. The trade in beaver skins, which began over a thousand years ago, gave rise to the towns chief industry, that of furrier to much of Europe. When the beavers ran out, the town imported furs and it seems that almost on every block in this charming small city of narrow streets and Byzantine-era churches that there is at least one place of business related to the fashioning of clothing out of now-imported furs, mostly mink. 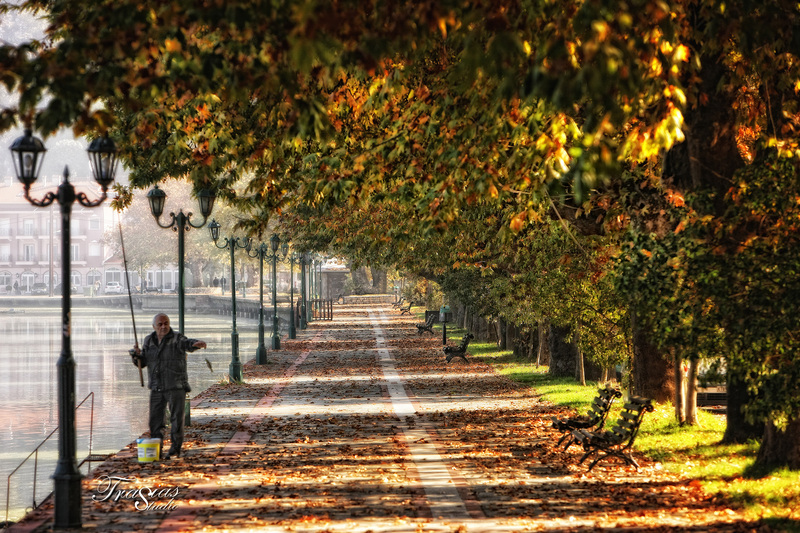 Kastoria remains an international center for the fur trade, and hosts an annual international exhibition of fur. The place was first mentioned by the Roman historian Livy, who writes in the 1st century AD of a town near a lake called Celerum which was captured by the Romans during their war against Phillip V of Macedon in 200 BC. The town is also mentioned by the names" Diocletianopolis" and "Justinianopolis" after the Roman emperor Diocletian (ruled 284-305 AD) and the Byzantine emperor Justinian (ruled 527-565). Evidence suggests that all three are older place names for Kastoria. 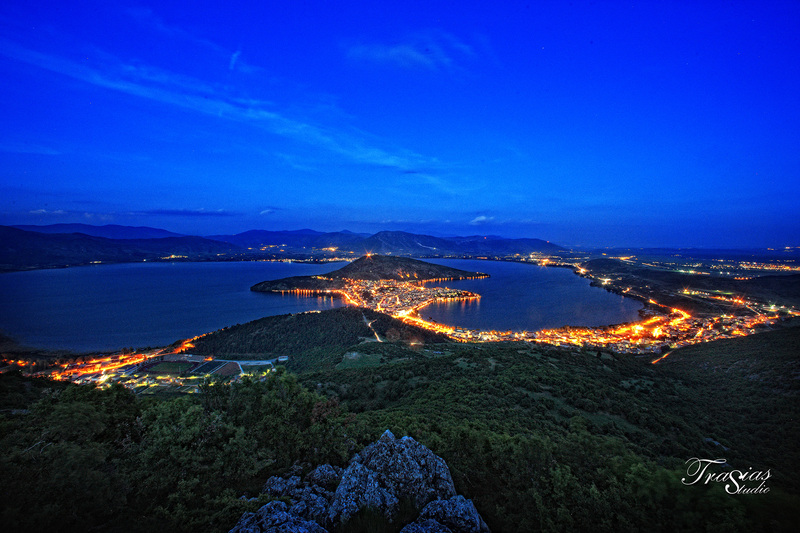 The town name Kastoria was first referred to in the late 10th century, when it was held by Bulgaria during the Byzantine-Bulgarian wars. During the 13th-14th centuries, Kastoria changed hands several times as the Bulgarians, the Byzantines, the Normans, the Byzantines again, the Bulgarians again, the Despotate of Epirus (a Byzantine successor state formed after the 4th Crusade in 1204), the Nicaean Empire (another Byzantine successor state formed after the 4th Crusade), the Despotate of Epirus again, and the Niceans again in 1259 took control, for a total of 9 changes of rulership in less than 75 years, something that must have been very confusing for anyone who was born in the beginning of that period and lived until its end. In the early 14th century Kastoria belonged to one John II Doukas, a Thessalonian war lord, then passed into the hands of Stephen Gabrielopoulos, another local ruler under the authority of the Byzantines. Following this it was taken over by Byzantine ruler Andronikos Palaiologos in 1332, who lost it the next year to the Serbs. It was part of the Serbian Empire for the next 50 years, until it was eventually conquered by the Ottoman Empire in the 1380's, for a total of 14 changes of rule in less than 200 years. This is a reflection of the phenomenon over historically overlapping borders in that part of the Balkans. In the late 1300's the Ottomans moved large numbers of Muslims to Kastoria. During this time the city's ethnic fabric became more diverse as many people immigrated there from across the Balkans. The city was divided into Turkish, Greek and Jewish neighborhoods or quarters. The "Dolcho" and the "Aporazi" near the lakeside are the two best-preserved Greek quarters, the last of their kind in the city. Kastoria finally reverted to Greece after the First Balkan War in 1912, at which time the Muslims were moved out during the Greek-Turkish population exchange. Several mosques and tekkes (Sufi Muslim mosques without minarets) still stand in Kastoria. In the 1940 census there were 900 Jews in Kastoria, whose ancestors had come there to work in the fur trade. In late March, 1944 Kastoria's Jews were sent to death camps by the Nazis. This is especially tragic, since the city was liberated by the Greek People's Liberation Army just four months later. Surrounding Kastoria are the mountains Vitsi and Grammos, where the decisive battles of the Greek Civil War (1946-1949) were fought. The city suffered a great deal of damage as a result of the fighting. Kastoria had 72 Byzantine and medieval churches; of those 52 survive. Many of these have frescoes that are in very good shape. 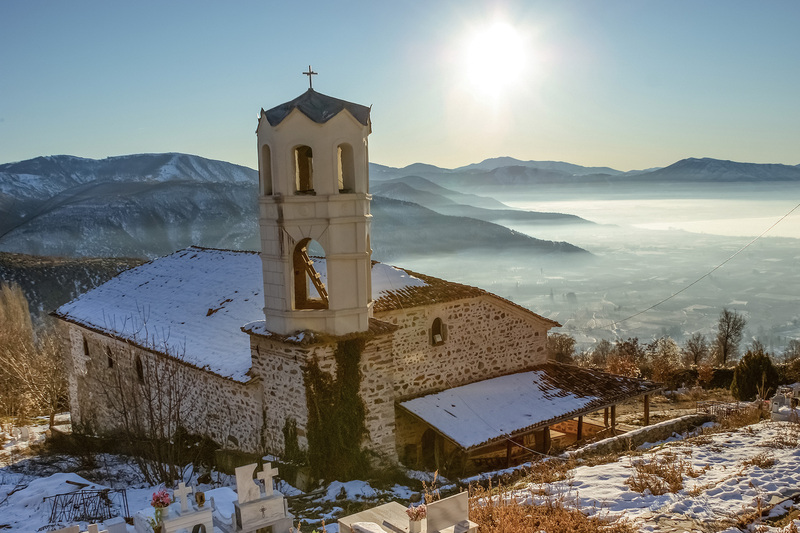 Notable is the Church of St. Athansius of Mouzaki, built by the house of Muzaka, a noble Albanian family which controlled Kastoria at that time. Its architecture influenced other churches in northern Greece built during the late-Byzantine period. It was the last church built in Kastoria before the Ottoman annexation. The lakeside neighborhoods of Dolcho and Aporazi feature stone-paved pedestrian streets, 17th and 18th century mansions, three storied, large-windowed buildings with enclosed balconies and the projecting upper-story called "sanhisia," a hallmark of Ottoman-era architecture, with decorative interior features such as wood carvings and wall paintings. Many of these traditional buildings are under threat because of modern development, and also suffer structural problems because of poor upkeep. The Dolcho and Apozari neighborhoods are included on the 2014 Seven Most Endangered List of Europe's most at-risk monuments. This is an annual list of seven sites in danger of structural degradation drawn up by Europa Nostra and the European Investment Bank Institute. The Kastoria Museum of Folklore can be found in a 500 year-old mansion which once belonged to the Neranzis Alvazis family. Since the city is partly built on a peninsula projecting into the lake, there are lots of waterfront cafes and restaurants, where the freshwater smell of the lake lend its ambience, unlike Greek seaside resorts. Of particular interest is the Cave of the Dragon, which has only recently been discovered and has been open to the public since 2009, after suitable infrastructure (walkways, a visitor center etc.) were put in place. The cave, which was accessible only from the lake (which would explain its late date of discovery), has spectacular stalactite and stalagmite formations, and walkways over water illuminated by lights. The cave is on the lakeside road, in the northern part of Kastoria, just before the monastery of Panagia Mavriotissa. It has 7 underground lakes, 10 rooms, and 5 corridors. The largest room is 150 feet (45 m) by 55 feet (17 m). Bones of the extinct cave bear have been found in the cave, but apparently the cave was not used by humans, as so far n evidence of human activity has been found. Locals have named it the Cave of The Dragon and created an interesting myth of a dragon which lived there during the 8th century, guarding a horde of gold. Lake Orestiada, (named after a mythological nature nymph- it's also called Lake Kastoria) teems with wildlife, with many different species of birds, frogs and turtles making it their home. It is a breeding ground for the Squacco Heron and Ferruginous Duck, and an important foraging area for the Dalmatian Pelican. The lake and its environs are threatened by agricultural expansion and runoff. A Neolithic lakeshore village built on an artificial island near the modern village of Dispilio, on the south shore of the lake 2.5 miles (4 km) southeast of Kastoria was found in 1932 during a dry winter. The site has been dated to 5600-5000 BC. Among a number of artifacts found- household items, ornaments, figurines- was a small, inscribed wooden tablet which has revolutionized the study of written language. The Dispilio Tablet was partly damaged from its exposure to air after thousands of years in the mud. But it has been established that the inscriptions on the tablet represent the oldest known written text in the world. It has been carbon-dated to 5260 BC. Written language was originally thought to have come from Sumeria in 3000-4000 BC. This pushes back the date for the first known written language another 2,000 years. It was thought that written Greek came from the Phoenicians about 800 BC, but there was always a problem with that- Greek had a much richer vocabulary-about 800,000 words- than the language with the second most written entries- about 200,000. 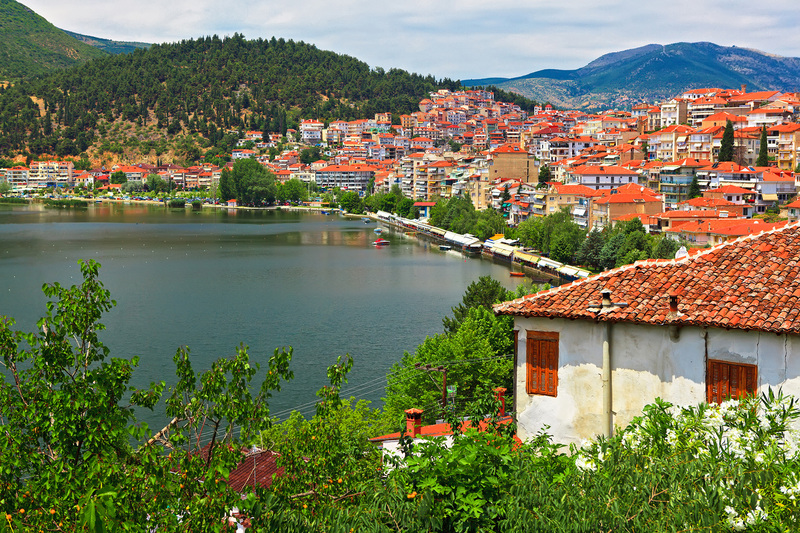 Whether one takes in the lakeside promenade, has a meal by the beautiful lake, goes on a nature hike, visits the older churches and mansions, or even window shops for a fur, Kastoria is a charming, beautiful little city.